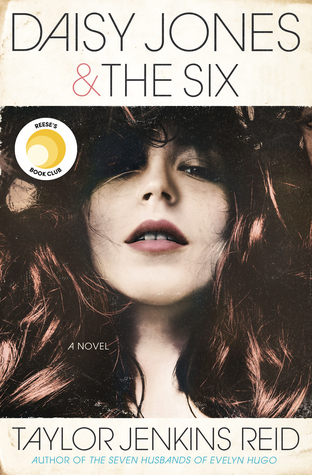 Synopsis : First love, broken friendships, and heartache all play a part in this evocative, voice-driven novel about Alex, a girl whose world is ripped apart when her father’s affair splits her family in two. Thoughts: When I first read this, I didn't know what to think. I didn't realize it's written in prose so that caught me offguard. I didn't love it as much as I wanted to, but I did enjoy it. The story line is interesting as are the characters. Lets recap, shall we? You have Alex. She's dealing with so many issues and changes, it could make your head spin. Her and her mother have recently moved to a new town (her mother's hometown). Alex doesn't really care about fitting in because all she wants to do is go home. Sadly, she can't leave her mother alone and does not want to face her father back home. She does decide to visit every now and then, but even then, she knows her friendship with Evie (her BFF)is slowly fading. Nothing is same. Though Alex's mother introduces Alex to her best friend's daughter (Charlotte), but Alex just doesn't fit in with them. While at a party, Alex runs into Fred. Fred's not your stereotypical "hot guy", but there's something about his confidence Alex can't shake. However, with Fred comes Adina, his twin sister. Eventhough Adina can be cruel to Alex, Alex can't help but want to befriend her. And though everyone warns Alex to stay away from the twins, she can't help but be drawn to them. The more time Alex spends with the twins, the more she realizes that some things about them just aren't normal, and they're pulling her straight into it. The things I liked. I like the story itself. It was really interesting to see Alex interact with all the different types of people. I genuinely liked the characters. They felt real and weren't the cheesy fake characters you see every now and then. And I liked the fact that this wasn't just a fluff story. All the characters deal with all kinds of different problems. The only thing is, I wish the story wasn't written in prose. I wish it was written with more details and dialogue. I felt like there was so much missing from the story. While it didn't lack depth, I just never felt a connection to any of the characters. This also applies to Alex and her attraction to Fred. I wouldn't categorize Fred as a swoon worthy guy because he wasn't describe with enough detail. He was just a character Alex had a crush on. The romance felt rushed. Something was missing. I guess what I'm saying is, I wish there was more. 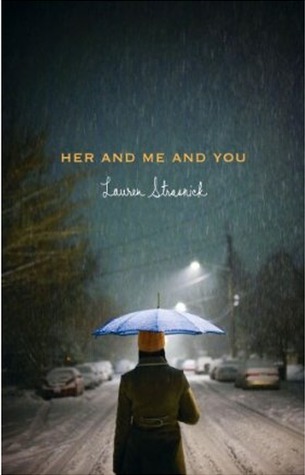 All in all, Her And Me And You is a book you can easily finish within a day, if not a few hours. After all, it's a little under 200 pages (Keep in mind, I read an arc. The final copy may change). If you're looking for a fast pace, easy read, written in prose, this is the book for you. Though I didn't love it, I still liked it and hope you do too. It sounds kind of creepy by the description. I don't think I would have even given it a chance without your review. Hi Lena, great review. I think the prose would throw me off too. I have not heard of this, I may wait for the library copy. Sounds intriguing! Great review, this one looks really good actually. I like the cover, and I think it really relates to the story, based on the synopsis. You have received the One Lovely Blog Award from me, Claire, at YA Bookie Monster! Please stop by my blog (http://yabookiemonster.blogspot.com) to pick up your award!